Through text and cartoons, this course shows you dynamic new ways to create individualized massage approaches for each client. Based on The Psychology of the Body by Elliot Greene and Barbara Goodrich-Dunn, this course explores the amazing connections between the mind and body and how these connections influence the body’s shape and the person’s responses. Learn new insights into the psychological factors that influence your work and client relations, including the profound dynamics of armoring; how to safely support your clients’ emotional responses, and how to confidently collaborate with mental health professionals. The textbook includes numerous case studies and suggestions for applying the concepts through self-directed exercises. The textbook is a valuable reference to use over and over. This course does not teach hands-on skills. Please seek additional experience, with a mentor, to add hands-on skills. The most intellectually stimulating online course I have taken. The test was also well-constructed. Thanks to the authors of the text for a weel-thought out and organized book. This was an excellent course, full of information and references to follow-up on. I thoroughly enjoyed this course! Excellent text. Clear, thorough, applicable. This course was the most informative and interesting that I have taken online! Thank you!!! I teach this course in a massage therapy school using this textbook. It was a good review for me. Nicely done. Very thoroughly researched and documented. Was a very interesting cousre - I wish this was part of early on training for therapissits - the information is helpful to any practitioner. One of the most helpful and useful courses I've taken, both professionally and personally. Good job! The course was extremely well researched and written. I thought it was a great course, well put together and informative. It has led me to further my interests in body psychology. Thanks. As with the Ethics portion of this text, this is the most difficult continuing education course I have taken. A lot of very good information coming from a totally different perspective. After twenty-five years in practice it is important to learn new information. The text will be a very good resource to rely on in the future. Thank you. I am very satisfied with the course. I will definitely come back for my CEU. I think the body/mind connection has the most applicable affect on most people's physical ailments and that this course should be mandatory for all massage therapists. I found the course fascinating and very informative with lots of case studies which made it more true to life. I believe this should be a required course, especially for massage therapists and providers working with patients or clients they have to 'touch.' I loved it. It took me a while to get through the book. And I still have more to read. It truly pulls it all together and embodies the work we do together with our clients and in collaboration with other providers. This course exceeded my expectations. there was so much new information and extra reading made available. I really enjoyed learning about all the types of problems that my clients could possible be holding within their bodies. This course enabled me to recognize the signs and symptoms of these disorders and how to proceed in helping them through the correct massage techniques. Overall I really enjoyed the material. The book has a lot of information and it is not meant to be skimmed though. This material is very in-depth and as a Therapist you have to take your time to read it and re-read it. 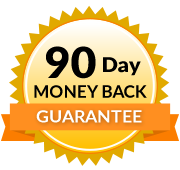 I would not recommend it as an easy CEU to take and get through quickly. I took me 2 weeks to read through it and answer the questions. I really enjoy this course and the material for this course is very well provided. I am very happy with this course. I have information to deal with different character and attitudes on different behavior or conduct with special clients and I know I will have to read this edition frequently. Thank you for making it interesting and easy to navigate. Although the materials were more extensive than any other online course study I've done, the price and quality of content cannot be beat. I would recommend this program to my friends. Course was comprehensive but somewhat difficult as I have not taken a psychology course in many years. This course is very important to take at any stage, experience level of our profession as bodyworkers. It deepened my respect and interest in the complexity of our whole being and constitution that expresses itself through the body. A must for massage therapist. This course is extremely through and informative. I would recommend it to any bodywork professional. I enjoy using the Institute's offerings for my CEU's for their convenience, affordability, and variety. Living in Montana does not not give me a lot of opportunities for continuing education especially if I need to get caught up quickly- like this year! This particular course- "Psychology of the Body" was very good, although the text is a little heady. I think it should be more like a 16 hour + course if one is expected to read the material in depth. There is so much information in the text that I will definitely use it as a reference and go back over it at a much slower pace. I wish I had taken a course like this 20 years ago, and find the material helpful for understanding all kinds of relationships, and parenting too. Thanks to the authors who did such a fantastic and thorough job of researching and to Integrative Healthcare for offering it! The Psychology of the Body course is beyond excellent. A must for every LMT out there. Brings another dimension to my work. I particularly liked the treatments offered in Section III to address Armoring and Chronic Psychological and Physical patterns, Although my client base is everyday people, I am finding these patterns present and I now have more knowledge and technique to relieve and relax. Even though I worked in the Mental Health Field for many years I learned new material in the class. This class was very comprehensive and was informative. I think this class was very good at noting and explaining the differentiation of scope of practice of the Massage Therapist vs the Mental Health professional. I enjoyed this course. I actually took 2 courses using this textbook. The book was clear and contained useful case studies. My only slightly negative comment was that perhaps there should be a note on the overview page telling students that 1 course covered chapters 3 and 4 and the other chapters were a separate course. I took both,but it is nice to focus on 1 course at a time, even though the material is all connected... Thanks! Great course! This was an amazing course and every massage therapist should take the course. Very detailed and explained the body mind connection in a deeper level. Highly recommend this course. I am a Clinical Social Worker and I learned a phenomenal amount more in this book than I did in any single book I have ever read in undergraduate or graduate school. This course is full of fascinating information. There are an incredible amount of examples and case studies that illustrate every concept the writers describe. For anyone interested in psychology, you will not get a better description (and lots of great examples) of the defense mechanism, grounding and boundaries, archetypes, countertransference, transference, and so much more - as you will from this course. I am going to print this out and read it again and again because this book is a masterpiece of relevant, interesting, helpful, inspiring information that I want to know inside and out. I couldn't stop reading no matter how tired I got. I loved every paragraph of this book. It will exponentially increase the confidence you feel as a therapist. These writers are deeply knowledgable and clearly passionate about their subject! Since the program I attended was crammed into 2 semesters, we barely touched (no pun inteneded) upon the variety of situations/case studies mentioned in this course. This course gave me an overall better understanding of the variety of situations/clients I may come into contact with in this profession. I HIGHLY recommend this course! Incredibly interesting! The content is thorough, easy to understand and apply. I will use this course in my future therapy work and will do more to learn about the body and its responses. Course is quite interesting. Lots of great info to apply and consider with clients you've seen for years or new ones. Particularly enjoyed the descriptions of body types, their tensions, and how different armoring forms different tension patterns. Very thorough and enlightening course. Would like the course material to also be available in PDF even if ordered for delivery. Excellent text book! Will make it a permanent part of my library. Great information. Broke the sections into manageable pieces due to the intense information. Took my time and it worked out well. Thank you! Thank you! Thank you! I have taken many of your classes through many years. Again I say - This one was the best yet!! Thank you again - I loved this class. It combined two of mt favorite interests the body/massage and psychology. The book & course- excellent. I loved this course and will tell my other Massage Therapist Colleagues.The information I learned here will be able to make my career more successful. Thank You and I will return. 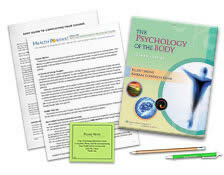 "Psychology of the Body" is a phenomenal course! The text, of the same name, is dense with pertinent information regarding the Mind-Body connection, the psychology of the body and healing, how body therapies serve as psychological intervention, ethics pertaining to boundaries, limits, and scope of practice issues and much more! This text should be required reading for everyone whose practice involves working with the body in some way. I know that I will continue to use it as a very valuable reference resource for years to come. 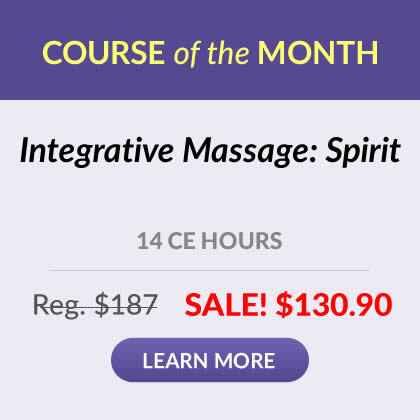 As a Massage Therapist and a Body Psychotherapist, I highly recommend this course! This course exceeded my expectations. It took a little longer to complete than I expected. I am overall happy that I chose this course. Course was great! Loved the text. It was much more than a 12 hour time investment however. This was a very interesting class. Challenging and enjoyable. Good job! I particularly liked and agreed with the comments in the preface. I feel this course included all psychological aspects of human behavior. I also found it enlightening to see each personality type illustrated with great structural specificity. I was intrigued through every chapter. This particular course Psychology of the Body added a new layer to my knowledge of thinking as to how to approach clients physical issues. Really informative. As a science instructor, this course from my point of view should be part of the body science education. Great course. I recommended to every massage therapist before even touching their clients. The information is has is a must for any massage therapist and beyond. It should be part of massage therapy education!! Thank you for producing such an amazing knowledge!! I loved the book...it was packed full of great information; Information I might have otherwise searched for through multiple books! (I know this because I have already done it.) This has always been my favorite subject and this writer didn't miss a thing. Thank you for providing such excellent study material! I think every massage therapist should take this course, it has valuable information that can help improve your practice! I was very pleased with the caliber of the content and the presentation. Thank you so much! All the courses I have taken through the Institute for Integrative Healthcare Studies have been valuable and beneficial to my therapeutic massage practice. All the coursework is easy to understand, forth right, and the test questions directly relate to the text content. This particular course was especially beneficial as there is quite a bit of new materials pertinent to massage therapy today as compared to my original massage therapy training over 35 years ago. This course is one of the most valuable of all continuing education courses in more than 20 years as a massage therapist. Invaluable for any bodyworker that is serious about his/her craft!!! A fascinating and engaging course teaching elements of psychology that is really helpful for massage therapists to be aware of, although rarely if ever taught in massage schools!